Cursed be the blood, that stains the estate. Merchingen Castle is the largest connected castle building in the Neckar-Odenwald district. The hall building is built in Renaissance style, while the corner building, gate building and residential building are already structurally Baroque. 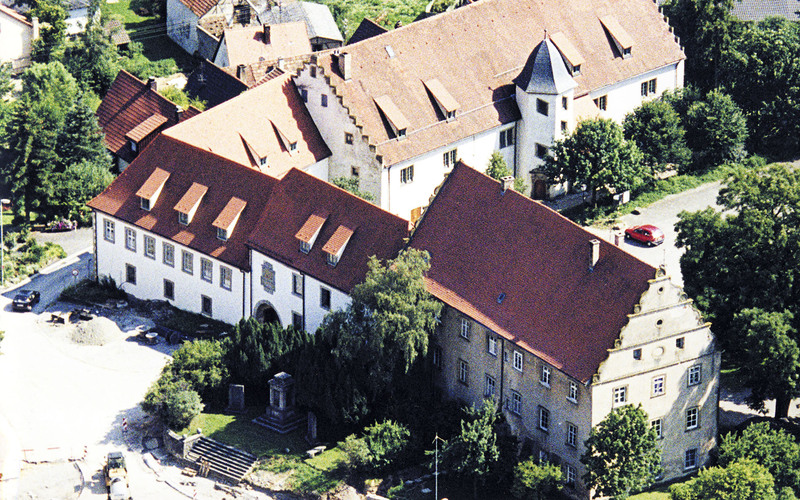 The hall and gate and corner buildings are owned by the municipality and have been renovated by the Förderverein Schlossbau. The corner building is now a hotel. The residential building is still owned by the Lords of Berlichingen and has remained unrenovated for some time. 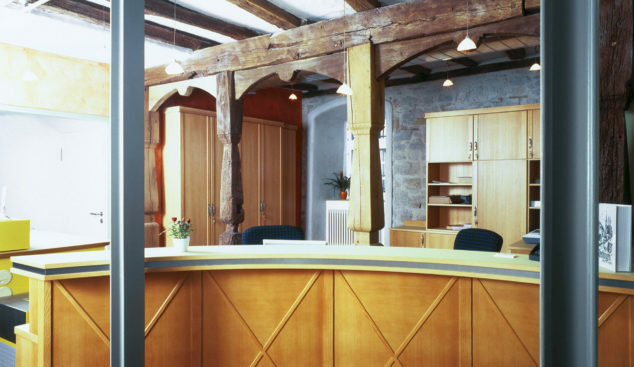 In cooperation with the “Förderverein Schloss mit Heimatmuseum e. V.” we have transformed various areas of the castle into impressive museums. Experience history with us! 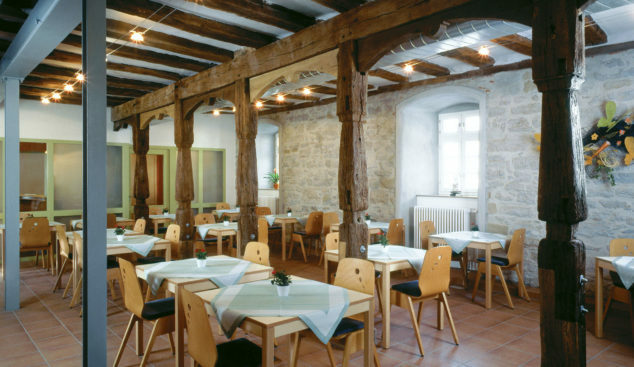 A breakfast museum on the ground floor, where our breakfast buffet is also served, an exhibition in the hallway about the history of the city of Merchingen, an original library room from 1899 and the local history museum for insights into the time of former generations in the attic. The “Förderverein Schloss mit Heimatmuseum e.V.” is pushing ahead with the further expansion of the castle and redesigning the outdoor facilities. 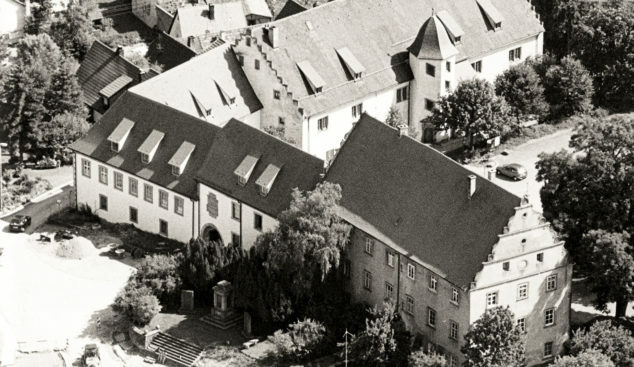 In the last 25 years, the hall buildings were converted into event rooms in three construction phases and the corner and gate buildings were converted into a castle hotel. In addition, various club rooms, a local history museum, a conference room and a breakfast museum have been set up.